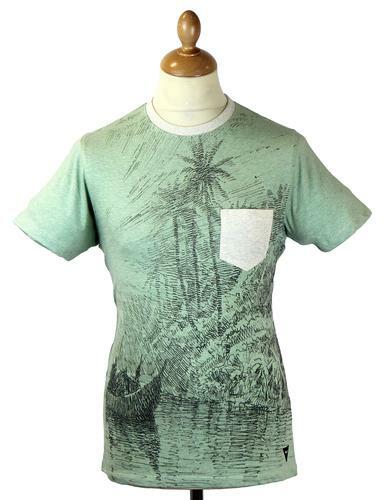 Realm & Empire 'LRDG Scorpion' Men's Retro premium cotton T-shirt. 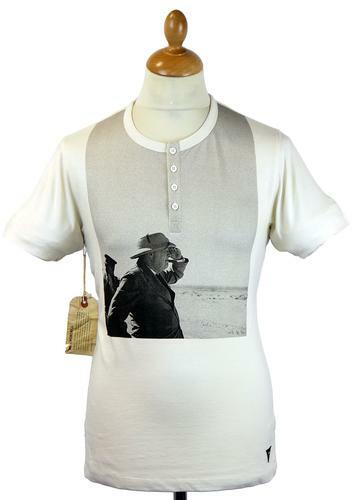 This cool Vintage style T-shirt features the original LRDG logo - a scorpion within a wheel. The wheel on the iconic motif represented the units mobility, referencing the importance of wheels on the ground. The scorpion being a small creature with a lethal sting, revelling in the desert environment reflected the discreet and meticulous manner in which the LRDG went about their business. Less regal than some military motifs, the LRDG scorpion logo mimicked their ethos - it's results that matter, not appearances. The scorpion logo was originally deigned by Trooper 'Bluey' Grimsey. 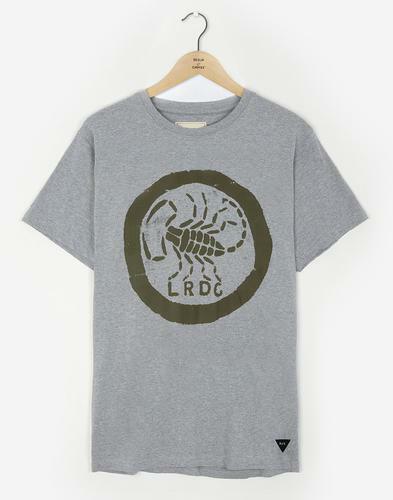 This cool Retro T-shirt features the iconic LRDG scorpion motif in a Vintage contrast colour way. A stylish and stand out fashion statement. Realm & Empire 'LRDG Scorpion' Men's Retro T-shirt in light grey marl. Crafted from premium cotton, this stylish Men's short sleeve T-shirt is finished with signature Realm & Empire tab to lower left side. Signature ID tab to inner back neck. The bold military print in contrast green adds a real sting to this classic jersey Tee. 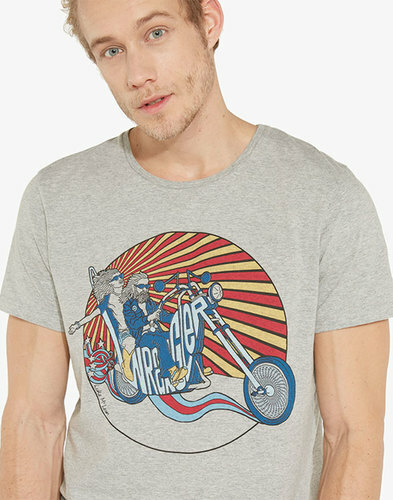 Travel the urban landscape in style and pay homage to the unfathomable efforts of the LRDG with this fab Realm & Empire Scorpion T-shirt. Key Points: Realm & Empire 'LRDG Scorpion' logo T-shirt. SKU: RE0394 LRDG Scorpion T-shirt.